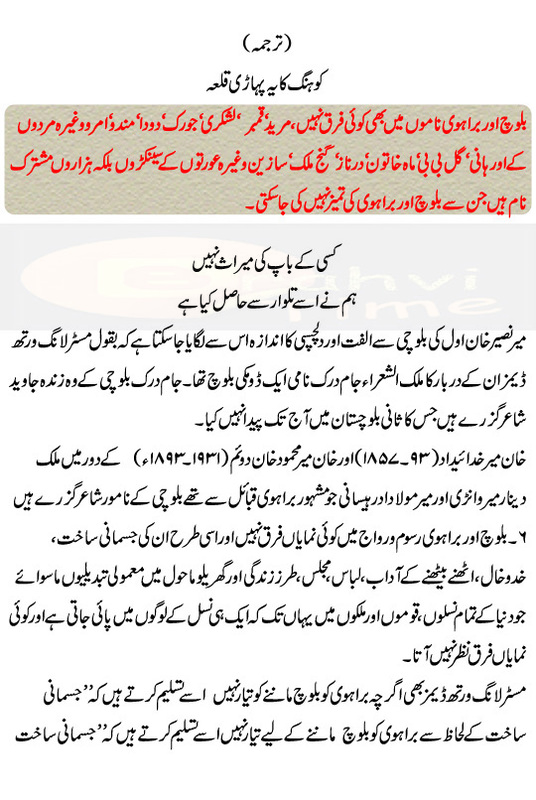 Information of all Baloch Tribal Chiefs (Sardars) of every tribe in Balochistan. Find out all tribes and their chiefs (Sardar) name bellow.. If you find something wrong please approch us or leave a comment on comment portion of this post. Q: Who is the Sardar(Tribal Chief) of Zehri tribe? ANS: Sardar Sanaullah Zehri( Chief of Jhalawan). Q: Who is the Sardar(Tribal Chief) of Riasani tribe? Q: Who is the Sardar(Tribal Chief) of Mengal tribe? I ) Sardar Attaullah Khan Mengal. ii) Sardar Asif Zagir Mengal. Q: Who is the Sardar(Tribal Chief) of Mugsi tribe ? ANS: Nawab Zulifqar Ali Magsi. Q: Who is the Sardar(Tribal Chief) of Gurgnari tribe ? ANS: Sardar Muheem Khan Gurgnari. Q: Who is the Sardar(Tribal Chief) of Shahwani tribe? ANS: Nawab Ahmed Khan Chief of Bairuk. Q: Who is the Sardar(Tribal Chief) of Bangulzi tribe ? ANS: Sardar Kamal Khan Bangulzi. Q: Who is the Sardar(Tribal Chief) of Rodini tribe ? ANS: Sardar Abdul Hakeem Rodini. Q: Who is the Sardar(Tribal Chief) of Sarparah tribe ? ANS: Sardar Ahmed Khan Sarpara. Q: Who is the Sardar(Tribal Chief) of Pirkani tribe ? ANS: Sardar Abdul Majeed Pirkani. Q: Who is the Sardar(Tribal Chief) of Rind tribe ? ANS: Sardar Yar Muhammad Rind. Q: Who is the Sardar(Tribal Chief) of Lashari tribe ? ANS: Sardar Dhani Baksh Lashari. Q: Who is the Sardar(Tribal Chief) of Bugti tribe ? ANS: Nawab Akbar Khan Bugti. Q: Who is the Sardar(Tribal Chief) of Marri tribe ? ANS: Nawab Khair Baksh Marri. Q: Who is the Sardar(Tribal Chief) of Gorgech tribe ? ANS: Sardar Muhammad Umer Gorgech. 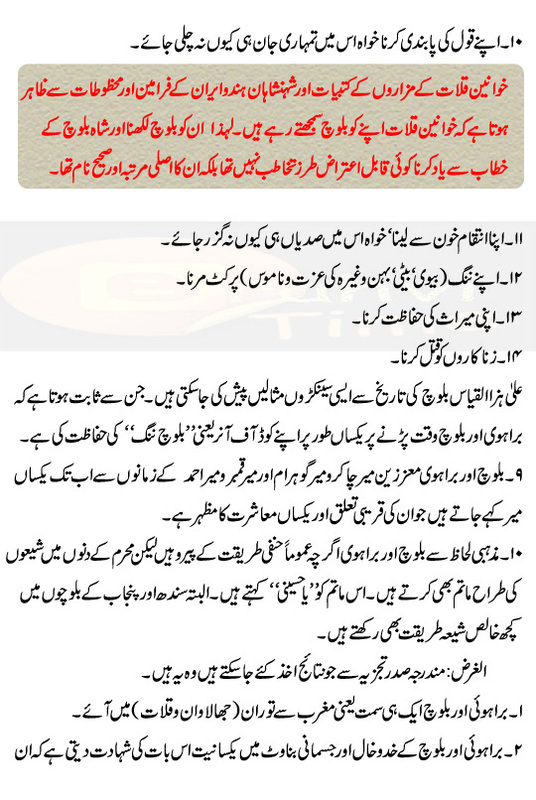 Q: Who is the Sardar(Tribal Chief) of Nosherwani tribe ? ANS: Nawab Abdul Rehman Khan Nousherwani. Q: Who is the Sardar(Tribal Chief) of Badini tribe ? ANS: Sardar Wali Muhammad Badini. Q: Who is the Sardar(Tribal Chief) of Jamaldini tribe ? ANS: Sardar Asif Sher Jamaldini. Q: Who is the Sardar(Tribal Chief) of Notezi tribe ? ANS: Sardar Khuday Rahim Notezi. Q: Who is the Sardar(Tribal Chief) of Mullazi tribe ? ANS: Sardar Basheer Ahmed Mullazi. 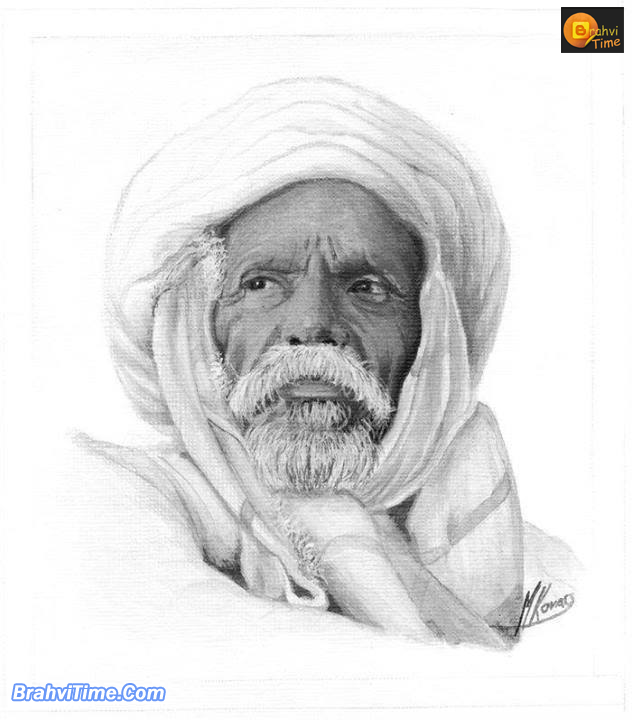 Q: Who is the Sardar(Tribal Chief) of Ababuki tribe ? ANS: Sardar Daroo Khan Ababuki. Q: Who is the Sardar(Tribal Chief) of Kubdani tribe ? 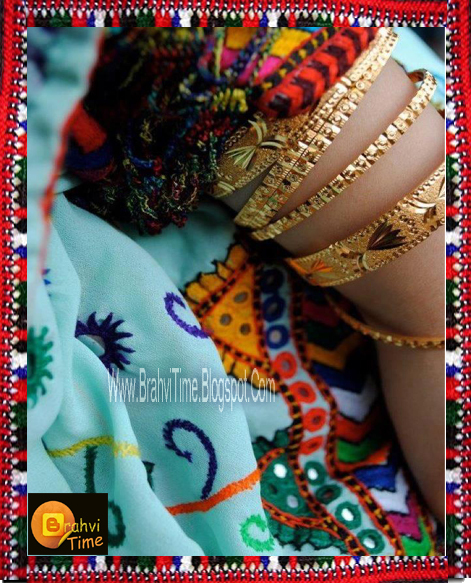 Q: Who is the Sardar(Tribal Chief) of Lehri tribe ? ANS: Sardar Aziz Ahmed Lehri. Q: Who is the Sardar(Tribal Chief) of Siapad tribe ? ANS: Sardar Gul Hassan Siapad. Q: Who is the Sardar(Tribal Chief) of Sanjrani tribe ? Q: Who is the Sardar(Tribal Chief) of Pirakzi tribe ? Q: Who is the Sardar(Tribal Chief) of Gichki tribe ? Q: Who is the Sardar(Tribal Chief) of Umrani tribe ? Q: Who is the Sardar(Tribal Chief) of Jamali tribe ? ANS: Sardar Yar Muhammad Khan Jamali. Q: Who is the Sardar(Tribal Chief) of Khosa tribe ? Q: Who is the Sardar(Tribal Chief) of Sasoli tribe ? ANS: Sardar Gul Khan Sasoli. Q: Who is the Sardar(Tribal Chief) of Muhammad Hassani tribe ? ANS: Sardar Shehbaz Khan Muhammad Hassani. Q: Who is the Sardar(Tribal Chief) of Mirwani tribe ? ANS: Sardar Muhammad Aslam Mirwani. Q: Who is the Sardar(Tribal Chief) of Chandio tribe ? ANS: Nawab Sardar Khan Chandio. Q: Who is the Sardar(Tribal Chief) of Reki tribe ? ANS: Sardar Musa Khan Reki. Who is the Sardar(Tribal Chief) of Qambrani tribe ? Q: Who is the Sardar(Tribal Chief) of Qalandrani tribe ? ANS: Sardar Ali Ahmed Qalandrani. Q: Who is the Sardar(Tribal Chief) of Longo tribe ? Q: Who is the Sardar(Tribal Chief) of Domki tribe ? Q: Who is the Sardar(Tribal Chief) of Kurd tribe ? ANS: Sardar Liaqat Ali Kurd. ANS: i)Sardar Muqeem Khan Khosa(Balochistan & Sindh). 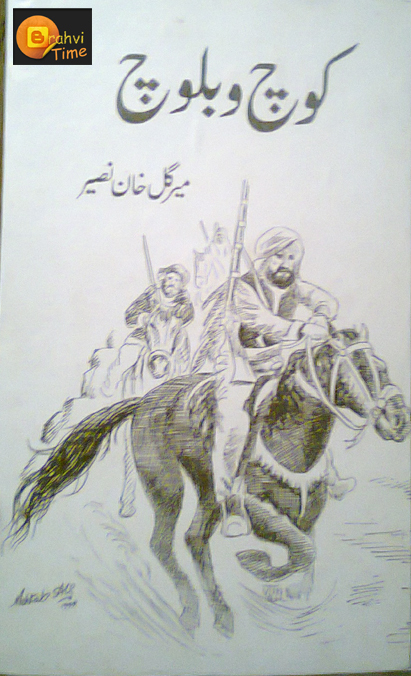 ii) Sardar Zulifqar Ali Khan Khosa (Punjab). Q: Who is the Sardar(Tribal Chief) of Buledi tribe ? Q: Who is the Sardar(Tribal Chief) of Jathak tribe ? ANS: Sardar Asad Khan Jattak. Q: Who is the Sardar(Tribal Chief) of Sumalani tribe ? Q: Who is the Sardar(Tribal Chief) of Mazari tribe ? ANS: Sardar Sher Baz Mazari. Q: Who is the Sardar(Tribal Chief) of Leghari tribe ? ANS: Sardar Jamal Khan Leghari. Q: Who is the Sardar(Tribal Chief) of Gola tribe ? ANS: Sardar Irshad Ahmed Gola. Q: Who is the Sardar(Tribal Chief) of Jamot tribe ? ANS: Jam Muhammad Yusuf (Jam of Lasbella). Q: Who is the Sardar(Tribal Chief) of tribe ? I am mother tongue of 10 million people living in Pakistan(Balochistan,Sindh),Afghanistan and Iran.Purpose of creating facebook account is contact brahvi speaking people in the world for promotion of language,literature and culture.Hundreds of books are being published annually but Brahvi speaking people do not read those books.There are weekly and monthly newspapers & magazines which imparts education and promotes culture. 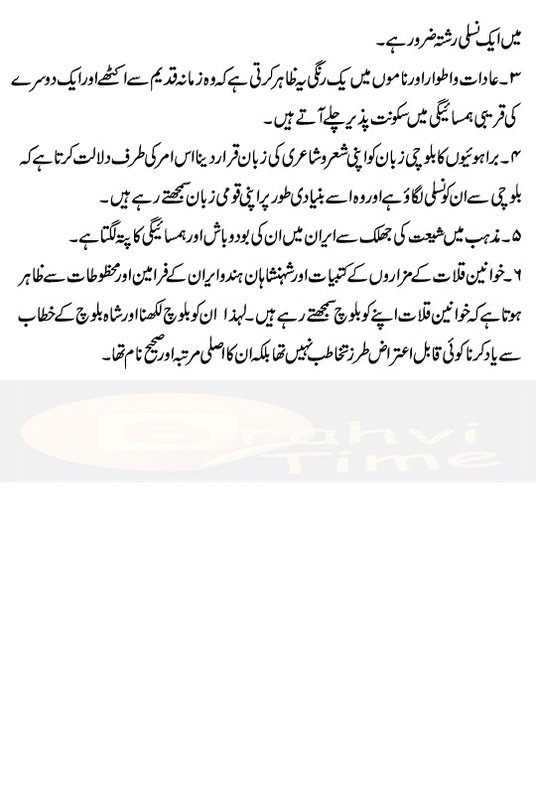 These are diamond questions, Answers, Information regarding Brahvi or Brahui litterature and People. Personally this is my favourite one article of this blog. I am very thankful of our brother Mr. Brahvi Brohi who provide us such a precouse knowlege about Brahui language. These question would help the students and candidates of BA /MA Brahui students as well. Q: Who is the greatest Sufi Poet of Brahvi Language? Q: When and where was Taj Muhammad Tajal born? ANS: He was born in 1833 at Bagh. Q: What was the name of father of Taj Muhammad Tajal? Q: To which Brahvi tribe he belonged? Q: when and where was Noor Muhammad perwana born? ANS: He was born in 1918 at village Mulla Murad Khan pandrani Usta Muhammad. Q: What was the name of father of Noor Muhammad Perwana? ANS: Molvi Meher Dil Pandrani. Q: Who was founder of Brahvi Magazine “Elum”? Q: Who is called father of Brahvi Journalism? Q: Who has written the book”Tuhfuthul Aajahib”? ANS: Moulana Malik Dad Qalat in 1760. Q; Who was Khan of Kalat When “Tuhfuthul Aajahib was written”? ANS: Mir Naseer Khan Noori. ANS: Who translated the Holy Quran in Brahvi Language in 1916? ANS: Allama Muhammad Umer Din Puri. Q: How many books were compiled and published by the Ulemas of Muktaba Durkhani? Q; Who has written book “The Life History of Brahui” in English Language? Q; Who has written book “The Brahui Language” in English Language? Q: Who has Written Brahvi book “Shosheng”? Q: Who has Written Brahvi book “Rawaj”? 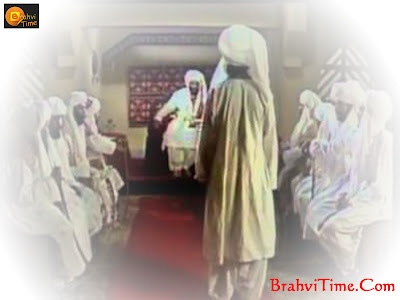 Q: Who has Written Brahvi book of historical novel “Mahgul”? Q: Who has Written Brahvi book “Adab Na Bukhshak”? Q: Who has Written Brahvi book “Anjeer Na Phul(Fiction)”? Q: Who has Written Brahvi book “Brahvi Khalqi Qisa Ghak”? ANS : Muhammad Salahudin Mengal. Q: Who has Written Brahvi book “Tanqeed Na Asulak”? ANS Q: Who has Written Brahvi book “Brahvi Adab”? Q: Who has Written Brahvi book “Gidhan Na Gindhar”? Q: Who has Written Brahvi book “Tarekh Na Kafun”? Q: Who has Written Brahvi book “Brahvi Quiz”? ANS Q: Who has Written Brahvi book “Wasathik”? ANS : Dr Abdul Rehman Brahvi. Q: Who has Written Brahvi book “Brahvi Qisa Ghak”? ANS: Dr Abdul Rehman Brahvi. ANS Q: Who has Written Urdu book “Brahvi Zuban o Adab ki Tarekh”? Q: Who has Written Brahvi book “Brhavi Lok Gheeth”? Q: Who has Written Brahvi book “Brahvi Kail”? Q: Who has Written Brahvi book “Brahvi Nama”? Q: Who has Written Brahvi book “Taj Muhammad Tajal”? Q: Who has Written Brahvi book “Misoor Na Sher”? ANS Q: Who has Written Brahvi book “Guldhustha”? ANS: Raees Nabi Dad Longo. Q: Who has Written Brahvi book “Bandhagee Na Khair Khawah”? Q: Who has Written Brahvi book “Mashad Na Jangnama”? ANS: Mir Gul Khan Naseer. Q: Who has Written Brahvi book “Shishpa”? Q: Who has Written Brahvi book “Gul Khandan”? Q: Who has Written Brahvi book “Gawarikh”? ANS Q: Who has Written Brahvi book “Chotoli”? Q: Who has Written Brahvi book “Usth Na Hukal”? Q: Who has Written Brahvi book “Shimshak”? ANS Q: Who has Written Brahvi book “Iqbal Na Warnak”? Q: Who has Written Brahvi book “Juzbath i Aslam”? Q: Who has Written Brahvi book “Dhagoo Jan”? Q: Who has Written Brahvi book “Zubad”? ANS: Muhammad Azam Mushtaq Lehri. Q: Who has Written Brahvi book “Shilli”? Q: Who has Written Brahvi book “Sadaf”? ANS: Professor Tahira Ihsas Jhattak. Q: Who has Written Brahvi book “Kachari”? ANS: Professor Azeem Jan Muhammad Shahi. ANS Q: Who has Written Brahvi book “Giroshik”? Q: Who has Written Brahvi book “Girgais”? Q: Who has Written Brahvi book “Phiro Mazoo”? Q: Who has Written Brahvi book “Thujuli”? Q: Who has Written Brahvi book “Dhastounk”? ANS : Mir Basheer Ahmed Lehri. Q: Who has Written Brahvi book “Shakar Phul”? Q: Who has Written Brahvi book “Thobay Na Seikha”? Q: Who has Written Brahvi book “Ghuhosh”? Q: Who has Written Brahvi book “Usth Na Thuwar”? Q: Who has Written Brahvi book “Nouruz Khan”? Q: Who has Written Brahvi book “Iqbal O Islam”? Q: Who has Written Brahvi book “Bismil”? ANS: Ali Sher Naz Brahvi. Q: Who has Written Brahvi book “Thulwasa”? ANS Q: Professor Aziz Mengal. 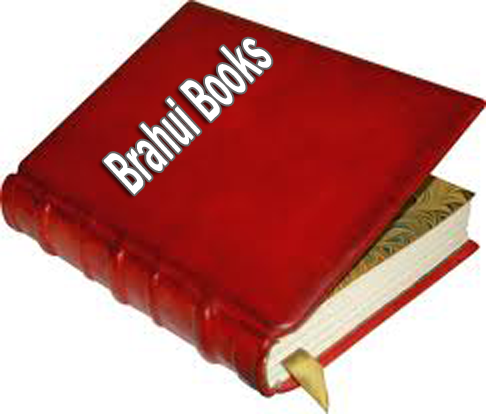 Who has Written Brahvi book “Jeeja Na Jholi”? Q: Who has Written Brahvi book “Guldhustha Kalat”? Q: Who has Written Brahvi book “Thirounk”? Q: Who has Written Brahvi book “Pehun Phuli”? Q: Who has Written Brahvi book “Sounj Rounj”? Q: Who has Written Brahvi book “Shithko”? Q: Who has Written Brahvi book “Saff Na Isthar”? ANS: Professor Tahira Ihsas Jhatak. Q: Who has Written Brahvi book “Qafilla”? ANS:Professor Azeem Jan Muhammad Shahi. Q: Who has Written Brahvi book “Guldustha Khuzdar”? Q: Who has Written Brahvi book “Guldhusta Sindh”? Q: Who has Written Brahvi book “Guldhusta Mastung ”? Q: Who has Written Brahvi book “Guldhusta Nushki”? Q: Who has Written Brahvi book “Nawadharath i Brahvi”? Q: Who has Written Brahvi book “Hassan Wazir”? Q: Who has Written Brahvi book “Huqooq ul Hewan”? ANS: Moulana Akhtar Muhammad Mengal. Q: Who has Written Brahvi book “Dhuraluk”? ANS: Moulana Abdul Khaliq Ababuki. Q: Who has Written Brahvi book “Diwan i Bismil”? Q: Who has Written Brahvi book “Sukhun i Haq”? ANS: Baba Abdul Haq Lakhoriyani. Q: Who has Written Brahvi book “Sodhagar zadah”? ANS: Mir Tahir Khan Mengal. Q: Who has Written Brahvi book “Shashan”? Q: Who has Written Brahvi book “Shikwa jawabay Shikwa”? Q: Who has Written Brahvi book “Shoshko”? Q: Who has Written Brahvi book “Muslaman ath Mujoodha Kamzouri Na Ilaj”? ANS: Moulana Muhammad Akhtar Mengal. Q: Who has Written Brahvi book “Zuragh”? Q: Who has Written Brahvi book “Zaheeri Na Ihsas”? Q: Who has Written Brahvi book “Suhail Na Pirik”? Q: Who has Written Brahvi book “Sirath Siyed ul Mursaleen”? Q: Who has Written Brahvi book “Shams o Qamar”? Q: Who has Written Brahvi book “Darawuristan”? ANS: Dr Abdul Razaq Sabir. Q: Who has Written Brahvi book “Fatima Jinnah”? Q: Who has Written Brahvi book “Phul Ganj”? Q: Who has Written Brahvi book “Sirath Muhammad Rasullulah”? ANS: Haji Abdul Latif Bangulzi. Q: Who has Written Brahvi book “Dho Khawar”? Q: Who has Written Brahvi book “Baboo”? Q: Who has Written Brahvi book “Kana Khuzdar”? Q: Who has Written Brahvi book “Latifi Tawar”? Q: Who has Written Brahvi book “Arur Na Masth”? ANS: Dr Abdul Ghaffar Mengal. Q: Who has Written Brahvi book “Aadaink”? ANS: Moulana Abdul Qadir Muhammad Hassani. Q: Who has Written Brahvi book “Phul sa Usth”? ANS: Muhim Khan Khalil Brahvi. Q: Who has Written Brahvi book “Heeroof”? Q: Who has Written Brahvi book “Dard atha Tawar”? ANS: Molvi Abdul Haq Ababuki. Q: Who has Written Brahvi book “Dek Na Palez”? ANS: Haji Kair jan Reki. Q: Who has Written Brahvi book “Hikayath i Sahaba”? ANS: Molvi Abdul Qadir Muhammad Hassani. Q: Who has Written Brahvi book “Chamkulli”? Q: Who has Written Brahvi book “Suhail o Hutham”? ANS: Dr Ali Ahmed Shad Brahvi. Q: Who has Written Brahvi book “Zindh Na Aadaink”? ANS: Nabi Baksh Anjum Brahvi. Q: Who has Written Brahvi book “Cheen Na Sanghath”? Q: Who has Written Brahvi book “Phuldustha”? Q: Who has Written Brahvi book “Lal Na Dhana”? Q: Who has Written Brahvi book “Jhum bur”? ANS: Professor Tahir Ihsas Jattak. Q: Who has Written Brahvi book “Birmish”? Q: Who has Written Brahvi book “Pat Na Hulli”? Q: Who has Written Brahvi book “Moulana Rumi”? Q: Who has Written Brahvi book “Rajdhari”? Q: Who has Written Brahvi book “Sharafmanda Niari”? Q: Who has Written Brahvi book “Harf atha khushboo”? Q: Who has Written Brahvi book “Tilli Bedi”? Q: Who has Written Brahvi book “Oulaiko Nun”? Q: Who has Written Brahvi book “Masnavi Mahgul”? Q: Who has Written Brahvi book “Sher Banz”? ANS: Moulvi Abdul Khaliq Ababuki. Q: Who has Written Brahvi book “Hukul”? Q: Who has Written Brahvi book “Tarikh i Madina Munawar”? Q: Who has Written Brahvi book “Tuhpi”? Q: Who has Written Brahvi book “Brahvi Dharoo Dherman”? Q: Who has Written Urdu book “Brahvi kel”? Q: Who has Written Brahvi book “Qadeem Brahvi Shuhra”? Q: Who has Written Brahvi book “Brahvi Takhleeqkar”? Q: Who has Written Brahvi book “Sheelanj”? Q: Who has Written Brahvi book “Kalat meen Brahvi Adab”? Q: Who has Written Urdu book “Badalthay Mousam kay Rang”? Q: Who has Written Brahvi book “Balochistan meen Sahaba Karam”? Q: Who has Written Urdu book “Darthi Ka Qarz”? ANS: Haji Khair Jan Reki. Q: Who has Written Urdu book “Sindhi Brahvi Zuban Ka Tuqabli Jaiza”? Q: Who has Written Urdu book “Brahvi Adab meen Mutalihy”? Q: Who has Written Urdu book “Naqd Zahanath Buzubany Brohi”? Q: Who has Written Brahvi book “Shahi Kharwar”? Q: Who has Written Brahvi book “Kalam i Tajil”? Q: Who has Written Brahvi book “Chacha”? Koch o Baloch this book is written by Mir Gul Khan Nasir for the answer and misconceptions of a book "THE BALOCH RACE" which was written by Mr. Longworth Dames. You can say this book a summry of The Baloch Race. 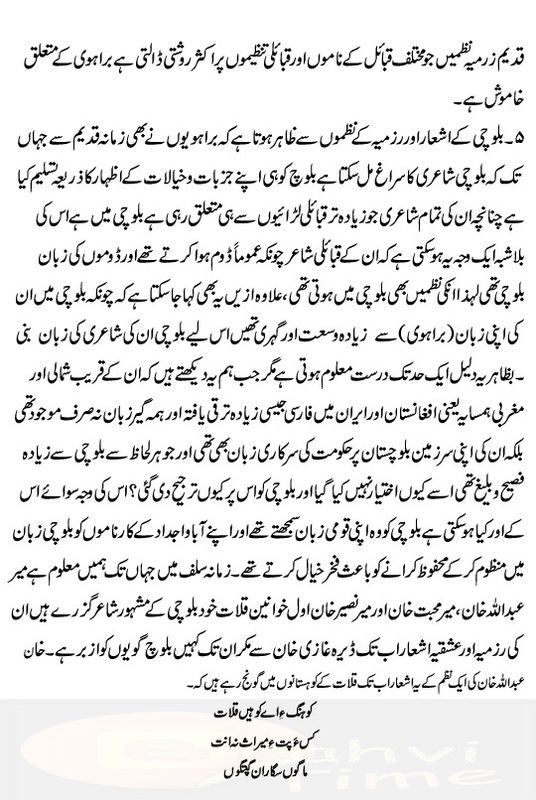 Mr. Dames was raise some questions about Brahui (Balochs) and many places he tried to devide Baloch nation in two groups like Brahui and Baloch.So Mr. Gul Khan Nasir Rewrite The Baloch Race again and with the name of Koch o Baloch, where he refuse his conspiracy research in which Mr. Dames tried to devide strengh of Baloch people. So here is something about that book you have to read complete book for your knowlege. I hope you people like my this effort. Please leave you comments and questions in comments section of Blog. 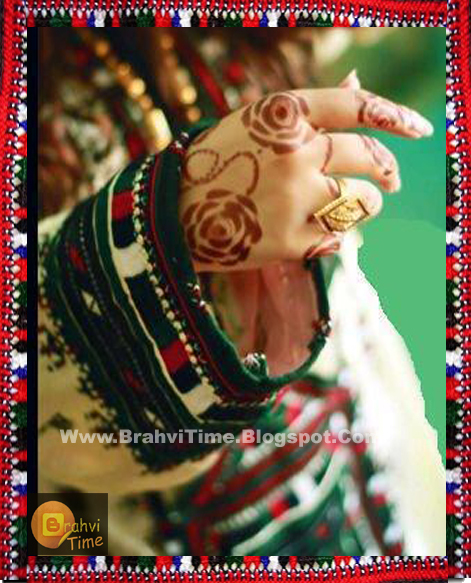 Brahui, Brahvi or Brohi all are same, Brahui Language is one of the oldest language of the world special in sub continent. but bad luckily this language has a little language material on world of internet. So here I tried to collect link of those blog and website which are playing their role for the promotion of Brahvi language. 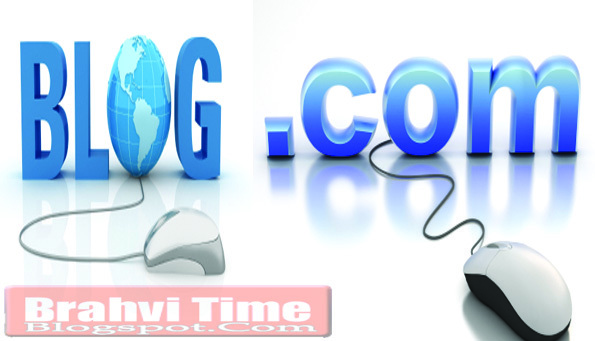 well, according to my limited source of search on web I collect some date of Brahvi blogs and websites with short description. Reading or Studying of history is too much difficult process but when someone studies it on basic of highlite quetstions and answers than It became a very process for students and people of any nation. 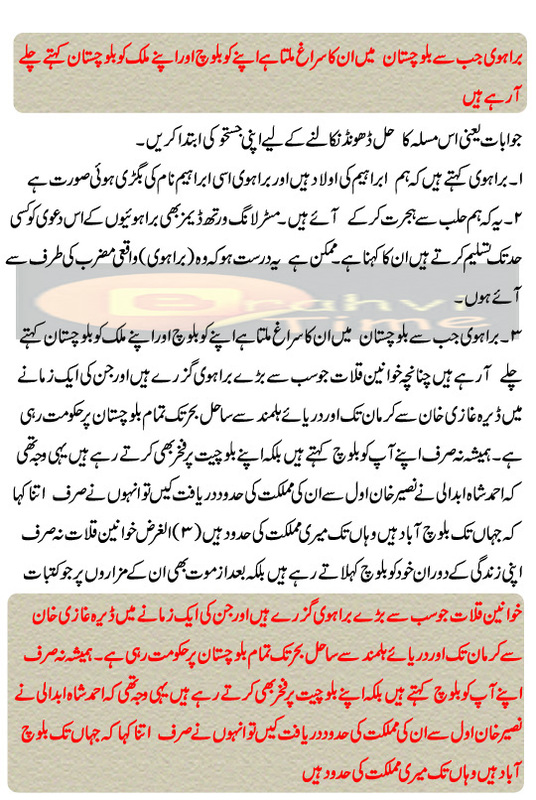 let's read our beloved Baloch Nation and our Great motherland Balochistan's history via short questions and answers. Q: When was Balochistan declared as Province? Q: Who was first governor of Balochistan? Q: Who was first Chief Minister of Balochistan? .Q: Who is the present Chief Minister of Balochistan? ANS: Nawab Muhammad Aslam Riasani. Q: Who is the present Governor of Balochistan? Q: Who is the present Chief Justice of Balochistan High Court? ANS: Justice Qazi Fahiz Essa. Q: Who is the Advocate General of Balochistan? Q:Who is the Chief Secretary of Balochistan? Q: When earthquake destroyed old city of Quetta? Q: What is the strength of Balochistan Assembly? ANS: There are 65 M.P.As. Q: Who is the greatest Poet of Balochi? 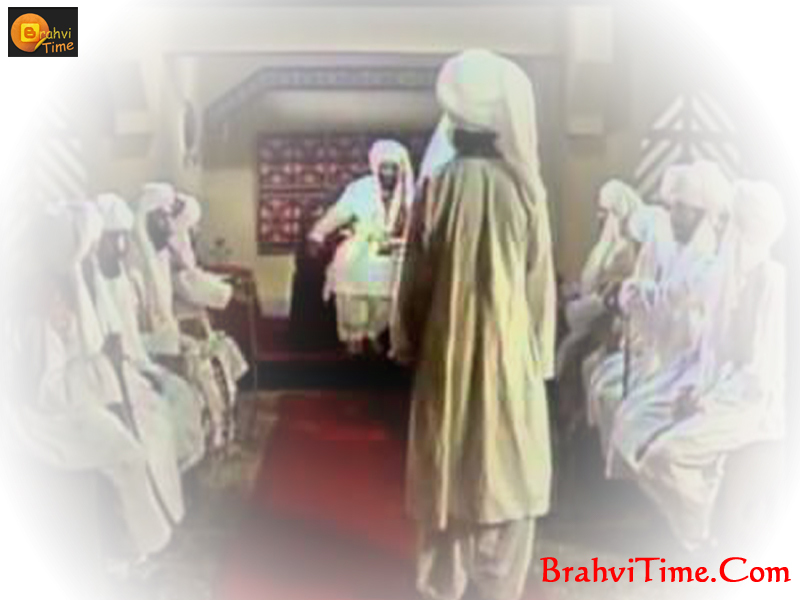 Q: Who were the first Brahvi speaking rulers of Kalat? ANS: Mir Hassan was the first Brahvi rulers of Kalat State & he belonged to Mirwani tribe. Q: When did Ahmedzi dynasty was established at Kalat? Q: Write down the names of Khans of Kalat who ruled State of Kalat from 1666 t0 1948? 1) Mir Ahmed Khan 1 ( From 1666 to 1695). 2) Mir Mehrab Khan 1 ( From 1695 to 1697). 3) Mir Samandar Khan ( From 1697 to 1714). 4) Mir Ahmed Khan II ( From 1714 to 1716). 5) Mir Abdullah Khan ( From 1716 to 1731). 6) Mir Muhabath Khan ( From 1731 to 1733 & 1736 to 1749). 7) Mir Eltaz Khan ( 1733 to 1738). Q. When did Ahmedzi dynasty end? Q: What was the tenure of rule of Sardar Chakar Khan Rind? ANS: From 1487 to 1511. 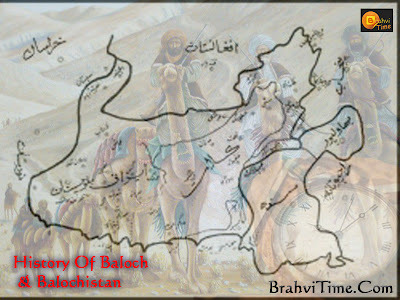 Q: Who was first Baloch ruler of Kalat? Q: Who succeeded Mirwani rulers of Kalat? Q: Who was first Khan of Kalat? Q: What was the designation of Baloch king of Kalat? Q: How many years did Naseer Khan Noori rule on Kalat? ANS: From 1747 to 1817. Q: When did British occupy Kalat? 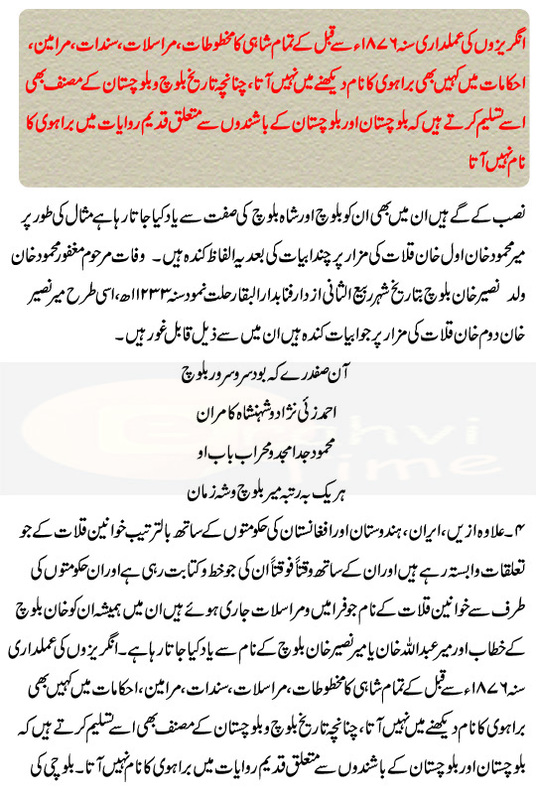 Q: When was Khan Mehrab Khan martyred by British Army? Q; Meer Naseer Khan Noori Organised the Army of Kalat.Do you Know that Composition? 1) Dastha Khas 2) Dastha Sarawan 3) Dastha Jhalawan. Q: Who was Commander of Dastha Khas? ANS: Khan was the Commander of Dastha Khas. Q: Who was Commander of Dastha Sarawan? ANS: Nawab Riasani was the Commander of Dastha Sarawan. Q: Who was Commander of Dastha Jhalawan? ANS: Nawab Zarak ZI was the Commander of Dastha Jhalawan. Q; Who is the present Nawab of Kharan? Q:Who is the present Nawab of Mekran? Q: Which tribe was entitled to hold the title of Nawab? Q:Who was the ruler of Kharan before partition of subcontinent? ANS: Nawab Habibullah Khan Nousherwani was the ruler of state of Kharan. Q.: Write down the names of Nousherwani rulers of Kharan? Q: Who is the Speaker of Balochistan Assembly? Q: Who is the Deputy Speaker of Balochistan Assembly? Q: Who is the person belonged to Balochistan served the Pakistan Army upto the rank of Lt:General & Corps Commander? ANS: Lt: General(Rtd) Abdul Qadir Baloch. Q: To which tribe Lt.General(Rtd) Abdul Qadir belong? Q: In which district of Balochistan General(Rtd) Abdul Qadir was born? Q: When was Kalat State National Party was established? Q: Who was the first President of Kalat State National Party? Q: Who was the first Vice President of Kalat State National Party? Q: Who was the first General Secretary of Kalat State National Party? ANS: Malik Faiz Muhammad Khan Yusufzi. Q: What were the objectives of Kalat State National Party? ANS: i) To establish a responsible government in the State of Kalat. ii) To reform the Jirga. iv) To develop the economy,educational system and to bring changes in the Society. Brahui is one of the oldest languages of the world and different theories are found about origin of the Brahui Language. Some linguistics say that it is a Dravadian language and others claim that it has Aryan Origin. However the deposits and remainants of the Moen-Jo-Daro reveal that Brahvi speaking People were the original dwellers of the oldest civilization of the world. 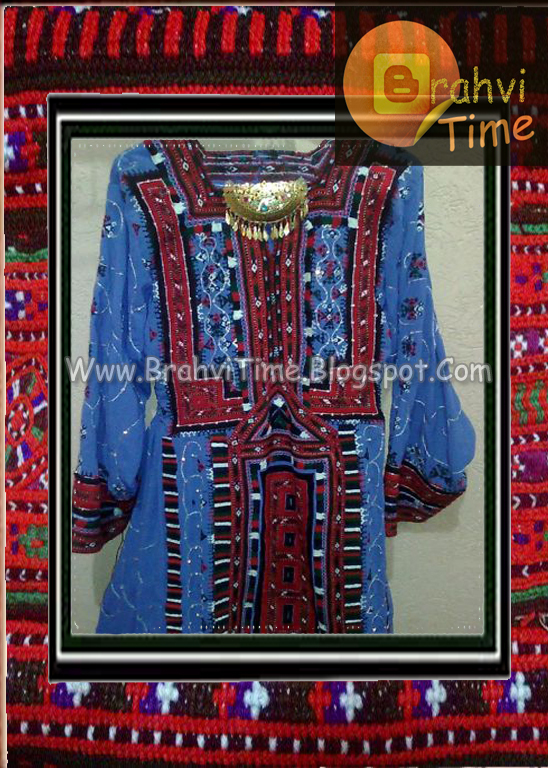 Brahui Speaking people claim that they are racially Balochs but their language is distinct and they live in Pakistan (Balochistan and Sindh), Iran (Sistan Balochistan), Afghanistan and Turkeministan. 1. To Promote the Brahui Language and Literature. 2. 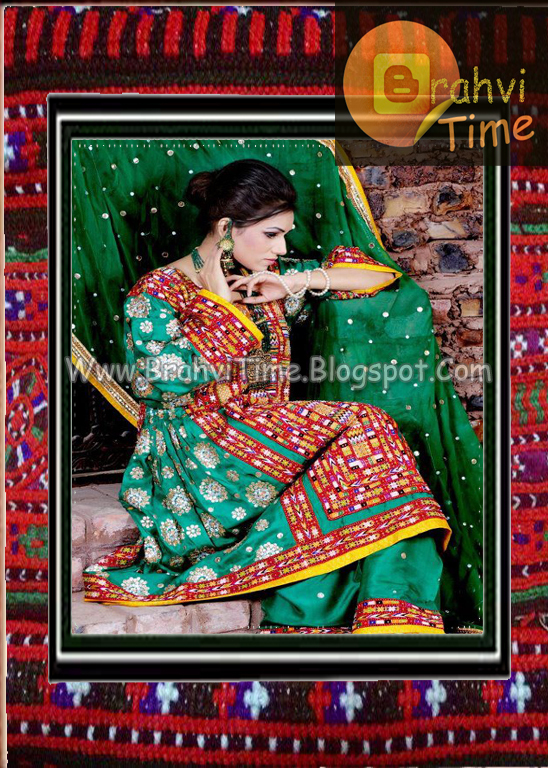 To Introduce the Brahui Books, creative works among the Brahvi Speaking people of the world. 3. To provide knowledge of Brahui language to literary personalities of their languages. 4. To help those students who have to appear in graduation, Masters and competitive examination in Brahvi Language. 5. To help those people who have to appear in M.Phil and Ph.d Courses. 6. To create awareness among the Brahui Speaking people and encourage literary persons for taking part in the activities of Brahvi Litterateur. Being a member of Brahvi Speaking community it gives me immense pleasure to launch this facebook account for promoting the Brahvi Language and literature and any suggestion, correction, addition, guidelines will highly be appreciated. Brahvi Speaking people are indebted to Late Noor Muhammad Perwana and this Account is hereby launched in his name as recognition of his remarkable and coomendable services for Brahvi Language and Literature. Sir Dennis Bray (I.C.S) who served as civil servant in Balochistan had submitted some theories about the origin of brahvi language. 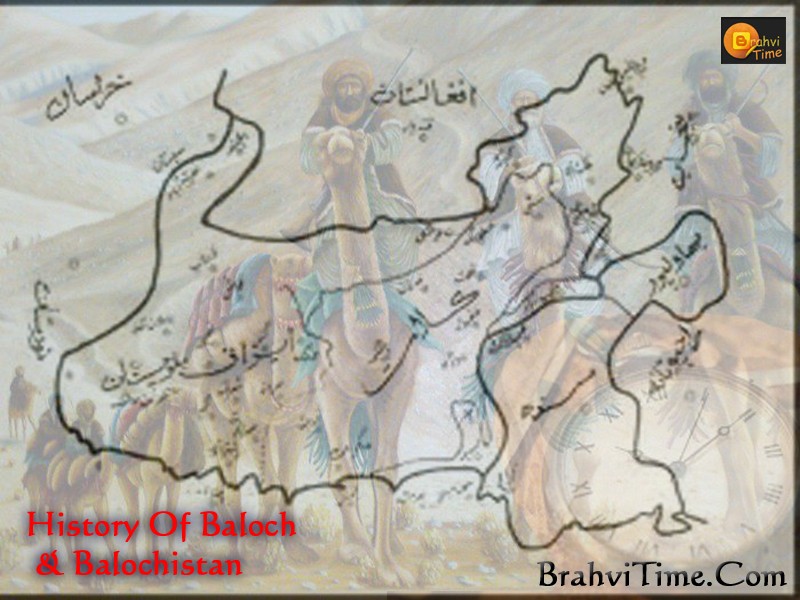 One of the said theories was that when Greeks occupied the Khurasan and Balochistan, the brahvi speaking people were living in the valley of Hilmand and brahvis were calling the same valley as “Baroyana” and same name was changed as ‘Brahvi or Brohi’. 2. 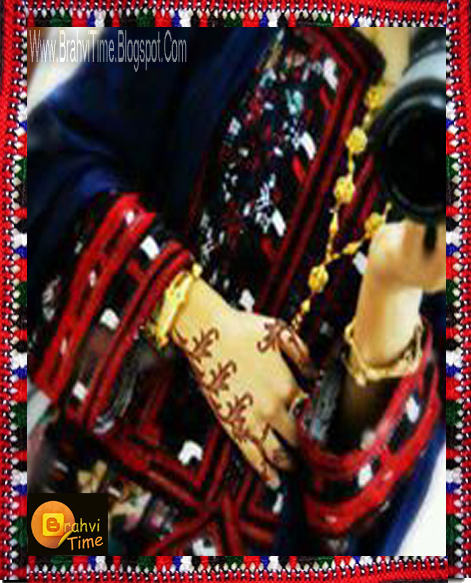 Brahvi is One Clan of the Hundred Balochi Clans. Renowned historians Mir Gul Khan Naseer and Malik Saleh Muhammad Lehri are of the view that Brahvis belong to a clan of those Balochs who migrated earlier than other Baloch clans. They were settled near the mountainous rang of ‘Al-Burz’ according ‘Al-Burz’ was renamed as “Burz Kohi” and with span of time same mountainous rang was called “Brahvi or Brohi”. If we chage these words into brahvi certainly a brahvi speaking people understand these words. Father of Brahvi Language Late Noor Muhammad Perwana has submitted his opinion in his easy “Brahvi culture” whether Brahvi speaking people belong to Dravadian race or not but it is certain that they belong to different races than Baloch and Pashtun. 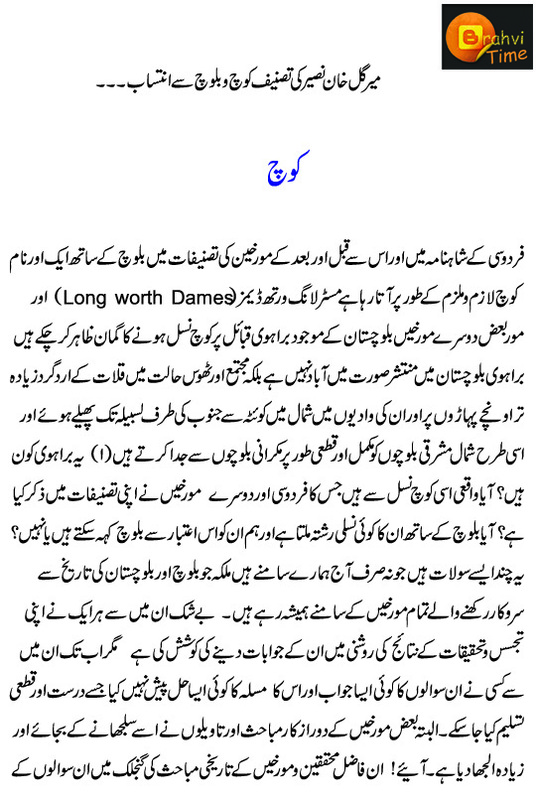 In another para he says that Brahvi language may belong to Dravadian languages but some Brahvis also speak Balochi. He has concluded that Brahvis have a compound civilization. Dr. Trump, Dir Dennis Bray, Coldwell, and Kami-ul-Qadri are of the opinion that there is similarities between brahvi and Indian languages of Tilgo, Milyalam, Tamil, Gota Malyalam. English scholars support this idea on grounds that composition of words of Dravadian and brahvi language have similarities. Dr. Abdul Rehman Brahvi, Dr. Abdul Razzaq Sabir, Dr Javed Akhtar and Dr Nazeer Ahmed Shaker support the ideas that brahvi is a Dravadian language and there is no doubt in this theory. 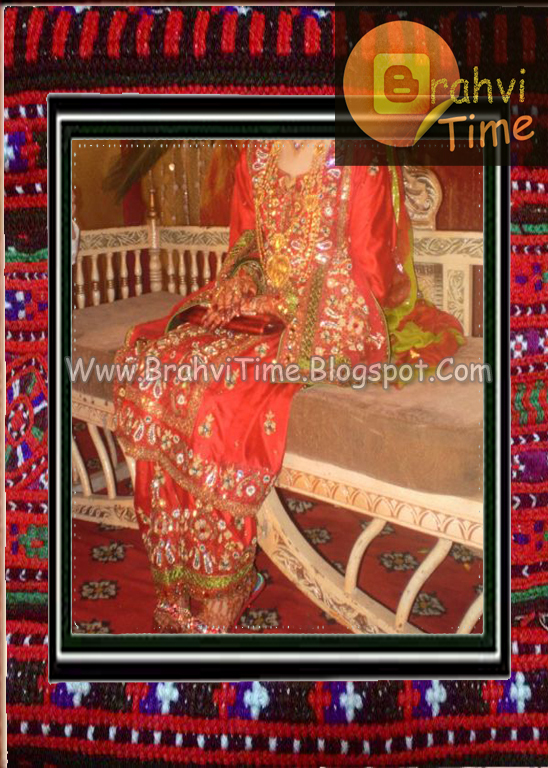 According to some historians, Brahvi and Balochi belong to same race. 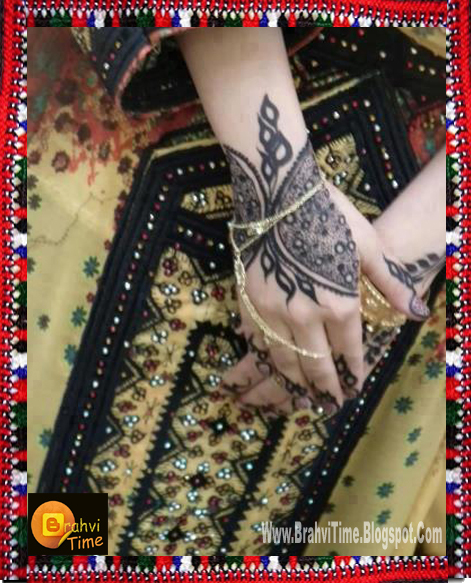 Balochi speaking people entered Mekran while Brahvi speaking people entered from Chagi defeated the Dravadian rulers of Kalat and entered into matrimonial relationship with the Dravadian people of Kalat. Accordingly Dravadian and Balochi languages were mixed up and a new language of “Brahvi” was born due to same relationship.